A paper just published by PLOS ONE describes how the Columbia team found that a particular wavelength of UV light known as “far-UVC” (in this instance, 207 nanometers) is not only as effective as conventional germicidal UV light in killing MRSA, as shown in their previously published study, but also shows for the first time that, unlike conventional germicidal UV, far-UVC does not cause biological damage to exposed skin. “Our new findings show that far-UVC light has enormous potential for combating the deadly and costly scourge of drug-resistant surgical site infections,” said David J. Brenner, PhD, Higgins Professor of Radiation Biophysics, director of the Center for Radiological Research, and the senior author of the paper. “We’ve known for a long time that UV light has the potential to reduce surgical site infections, because UV can efficiently kill all bacteria, including drug-resistant bacteria and even so-called ‘superbugs.’ Unfortunately, it’s not possible to use conventional germicidal UV light when people are around because it’s a health hazard to patients and medical personnel. 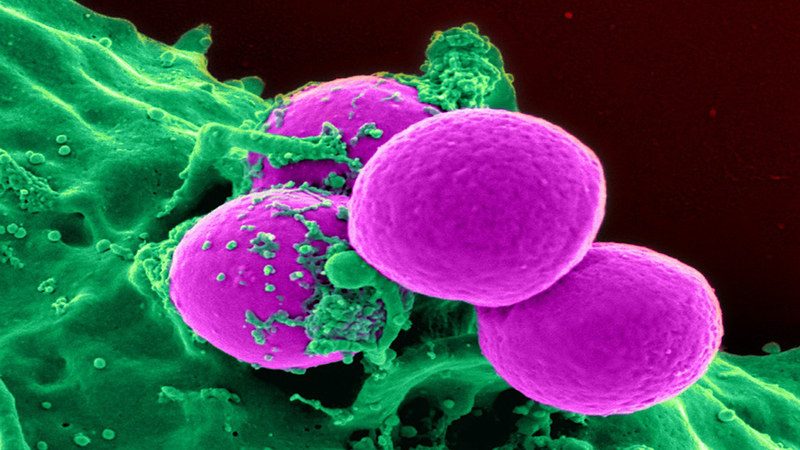 What we showed in our earlier work is that far-UVC light is as effective at killing MRSA as conventional germicidal UV light — and now with this new research, we have demonstrated that far-UVC kills bacteria but without risk of skin damage,” Dr. Brenner said. Surgical site infections (SSI) continue to be a critical health care issue in the US and worldwide. Patients who develop SSI have a mortality rate twice that of non-infected patients, and estimated annual healthcare costs in the U.S. due to SSI range from $3 to $10 billion. The new idea behind Columbia’s use of far-UVC light is that that, unlike conventional germicidal UV, far-UVC cannot penetrate through the outer, dead layer of skin to reach live skin cells, nor can it penetrate the outer layer of the eye. However, because bacteria and viruses are physically very small, far-UVC light can penetrate and kill them. Columbia’s latest research was conducted on the skin hairless mice, which responds similarly to human skin when exposed to UV light.